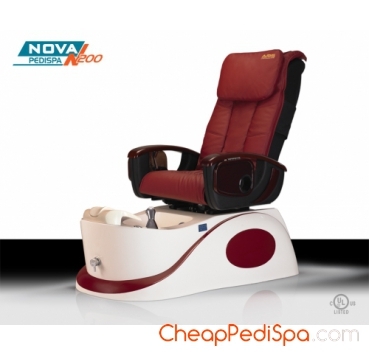 NOVA- N200 - Spa Chair . A design that never seen before, equipped with luxurious components. 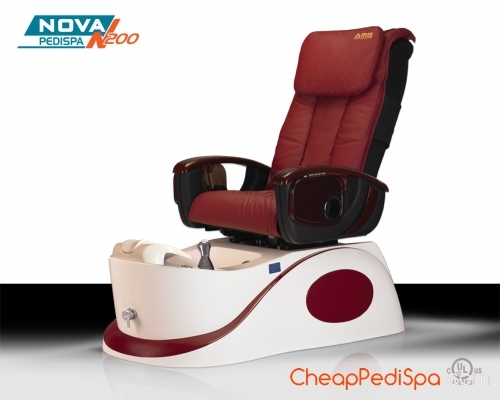 A pedicure spa that gives its owners a peace of mind and its customers smiles. An experience that only Nova N200 can deliver. Replaceable leather sets (pillow, backrest cover and seat cover) offer the economical option to a quick and easy change for stylesh look that matches your new setting or the season. Advanced rolling system with 4 wheels, multi-functions providing the auto massage therapy for upper body (Timer, 3 Auto programs, Auto scan, Knead, Speed, Combine, Tap, Wide/Narrow, Wheels Up/Down). 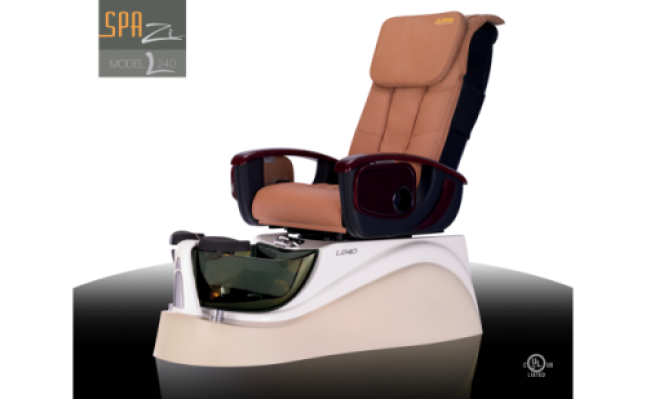 Automatic control from your fingertips for Seat Forward/Backward, Backrest reclining. Both armrests lift up for easy access. Integrated spray hose provides fast and efficient spa cleaning. Equipped with a pipe-less whirlpool foot bath jet. 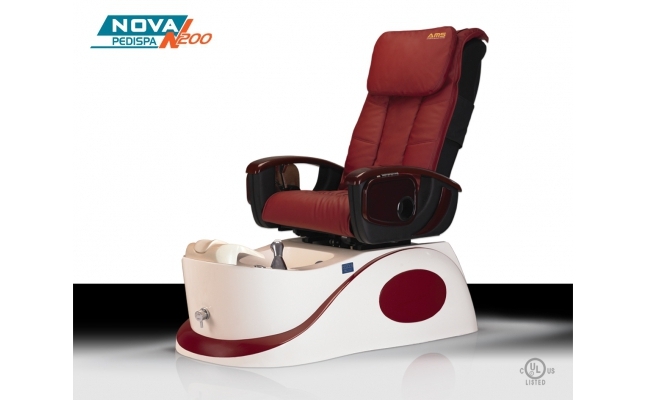 A quiet pump motor with bi-directional jet for complete client relaxation. 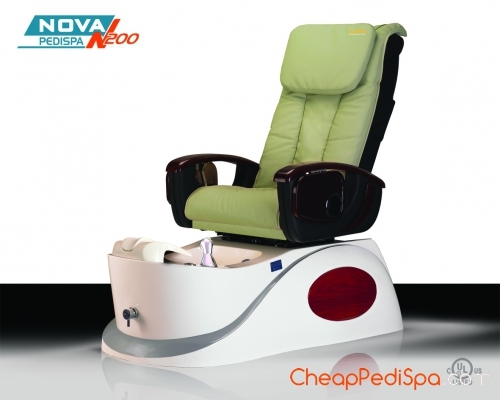 Equipped with adjustable foot rest and LED spa light. Equipped with the elegant and contemporary crystal tub (selected models). 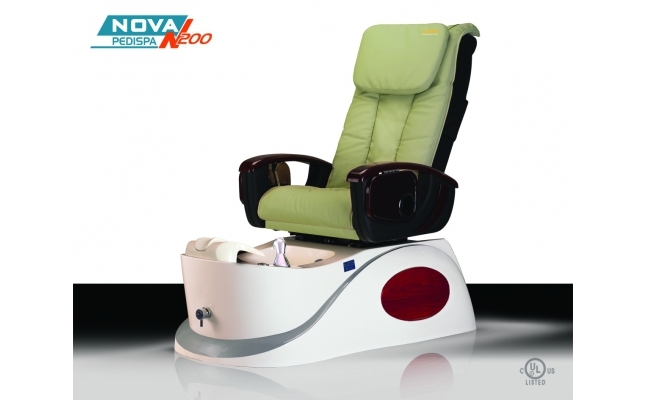 A luxurious stool with backrest is included to provide the comfort for the technician.